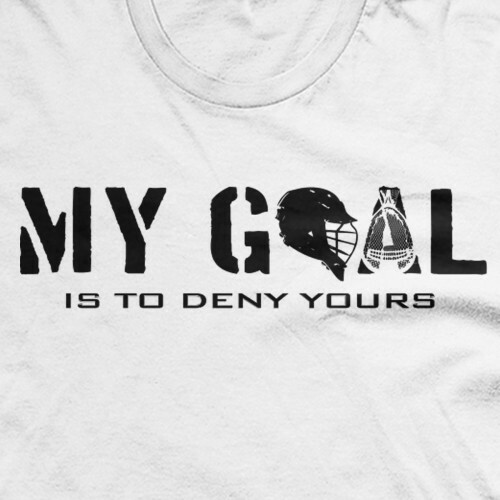 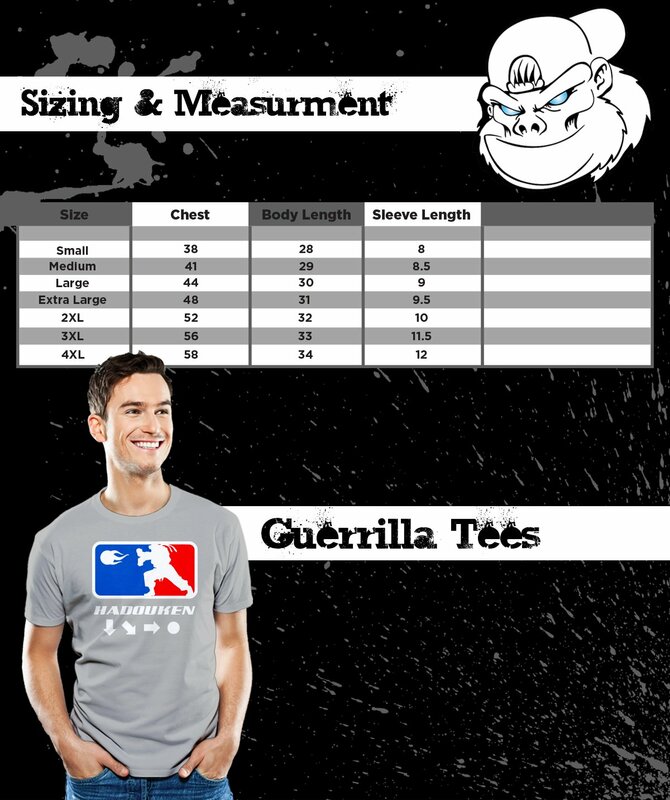 Lacrosse goalies on a mission are sure to enjoy this in-your-face LAX t-shirt. 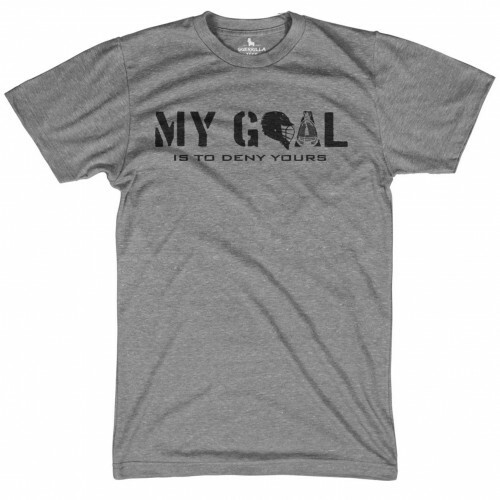 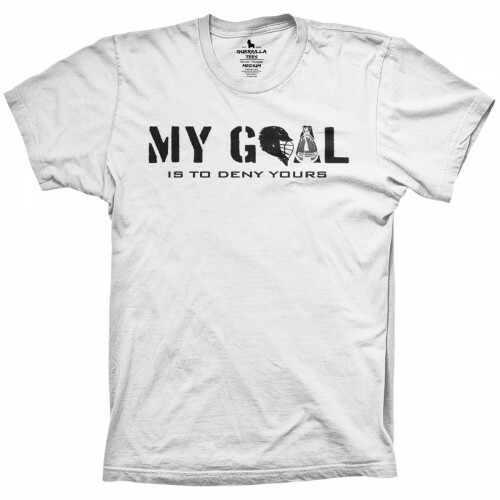 Available in four bright colors, it features clean, professional screen printed graphics that reads My Goal is to Deny Yours. It will make a great gift for players and LAX parents alike, and is constructed using soft inks and comfortable lightweight materials. 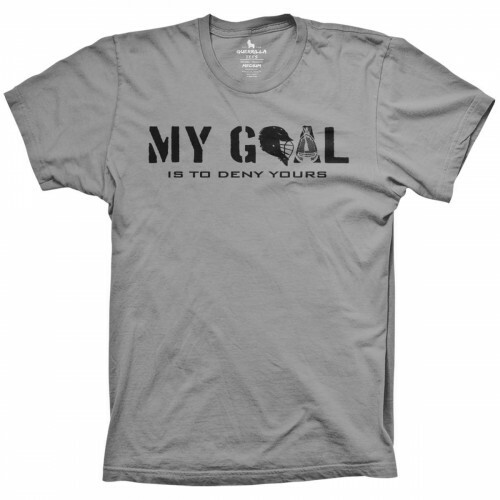 Wear it one game day, before or after practice, or whenever you feel like intimidating the competition.